Good Golly, Miss Molly Picks Some Books! It’s official…The Girl Who Drank the Moon, by Kelly Barnhill, is the winner of the 2017 Newbery Medal (which celebrates achievement in children’s literature). Looking for great 2016 reads for teens, you say? (Or, are you one of those adults who devours teen fiction? You know you are…own it!). Read on for staff reviews of these titles. 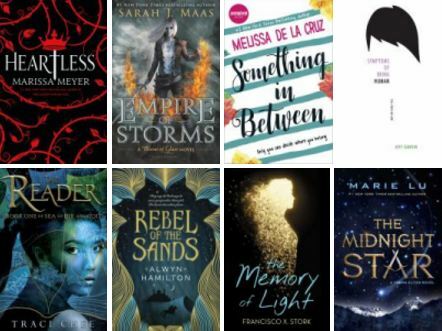 Thanks to the BookBub Blog for sharing this list of new and recent books incorporating timely themes of interest to many teens.